vicki is using Smore newsletters to spread the word online. March 2nd was Dr. Seuss' Birthday and we were rhyming machines! Some of my friends realized that all you have to do to rhyme is change the first letter sound. It was so great to see how proud they were of themselves once they figured it out! Some of our friends still need some work with the concept, but we will be working with them individually to get them to understand the concept. Try rhyming with them at home to reinforce the skill! In Reader's Workshop, we focused on looking through the word and sounding out the letters that we know and look for "chunks" of words we know. We introduced "chunky monkey", which is when you come to a tricky word, you can look for a chunk or part of the word that you know. Many of our friends LOVE looking for chunks of words they know! It is so fun to work with them individually and see what strategy they use when they come to a tricky word! 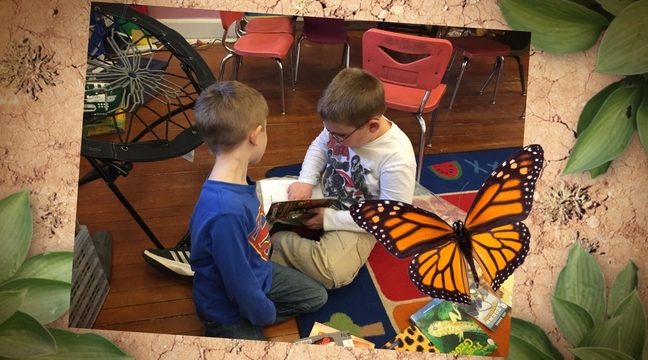 Reading is AWESOME! We also worked on building our schema, which is our background knowledge, to help us read. Have them show you some of their strategies at home. They are really doing great! Please keep reading those books that we have been sending home weekly with your child. Also, please practice the new sight words that went home. The more sight words they know, the better readers they will become! In phonics, we focused on short vowels and digraphs. We played many word play games to help learn these skills. We also worked on rhyming words. In Math, we worked on number bonds. This is a concept that we use to break numbers apart and put them together. We concentrated on numbers 5, 6, 7, and 8 last week. In our Second Step program, we continued to learn about our own feelings. Our author of the week was be Dr. Seuss. We read several of his books and discussed the similarities and differences of each of his books. On Friday, we read Green Eggs and Ham and cooked them in our class. This is going to be a great week of learning. We have lots of fun things planned this week. In Reader's Workshop, we will be focusing on looking through the word and sounding out the letters that we know and look for "chunks" of words we know. We will continue to use "chunky monkey", which is when you come to a tricky word, you can look for a chunk or part of the word that you know. Again, as we mentioned in previous newsletters, we will practice a new skill for several weeks until we are at or close to mastery. We want our friends to be able to use these skills independently when they come to a tricky word. This takes time and practice to develop these skills. Thank you for your understanding! We will also be working on building our schema, which is our background knowledge, to help us read. Have them show you some of their strategies at home. They are really doing great! 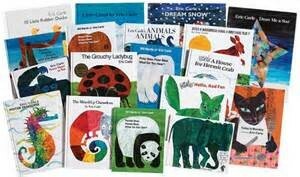 Please keep reading those books that we have been sending home weekly with your child. Also, please practice the new sight words that went home last week. The more sight words they know, the better readers they will become! Some of our friends are ready for the next 25, which means that so far they know 50 words! We will be assessing my friends this week. If you get another set of sight words, you will know that your child is ready for next 25 (which means they will be at 75 words)! Way to go!! Keep practicing at home! In phonics, we will focus on short vowels and digraphs. The digraphs are a tricky concept for many of our friends. So this week we are going to continue with the digraphs. We will be playing many word play games to help learn these skills. We are also going to concentrate on nouns this week. In Math, we will be working on number bonds. This is a concept that we use to break numbers apart and put them together. In Science, we will focus on what a living and non-living thing is. We will explore the classroom and categorize living and non-living things. In our Second Step program, we will continue to learn about our own feelings. 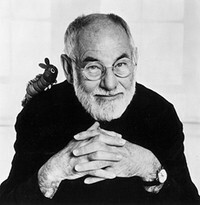 Our author of the week will be Eric Carle. We will read several of his books and discuss the similarities and differences of each of his books. CAN WE CATCH A LEPRECHAUN? Thank you for all of your work sending in those box tops!! Mrs. Maillet's class won the ice cream party on Friday, March 11th. Thank you again! Book orders will be sent home Thursday and will be due March 17th. Many parents are asking what the class needs for supplies. We could use some Clorox Wipes. Thank you in advance. Please practice letters and sounds with your child nightly! Thank you!